| My First Bollywood Film. I'd never seen a Bollywood film until now but having read about the Battle of Saragarhi I thought it would be interesting to watch. 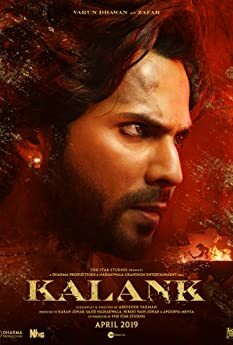 I will admit there is definitely some heavy melodrama in a few action scenes, I don't know if this is common in Indian films or not but it does disrupt the flow of the film somewhat (or at least give you the impression that beards and turbans give you superpowers). That being said most of the action sequences are well done and the tone while serious is punctuated by some hilarious jokes and dialogue that reflect the camaraderie amongst soldiers in such situations and make relating to and investing in a rather large cast of characters considerably easier. 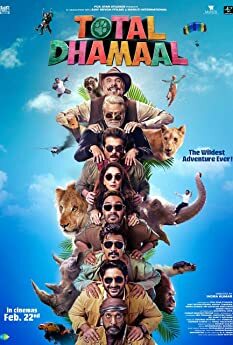 I don't know how Indian audiences would rate this film against other Bollywood films but I found this far more entertaining than recent Hollywood blockbusters. 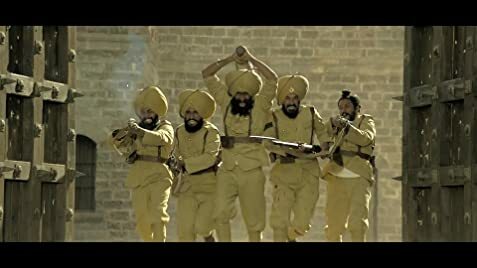 The first poster was released on September 12, 2018 on the occasion of Saragarhi Day. The UK release was cut, in order for the film to receive a BBFC classification and be approved for release in the UK the distributor was required to remove a scene of cockfighting which was deemed to be in breach of the UK Cinematograph Films (Animals) Act 1937.